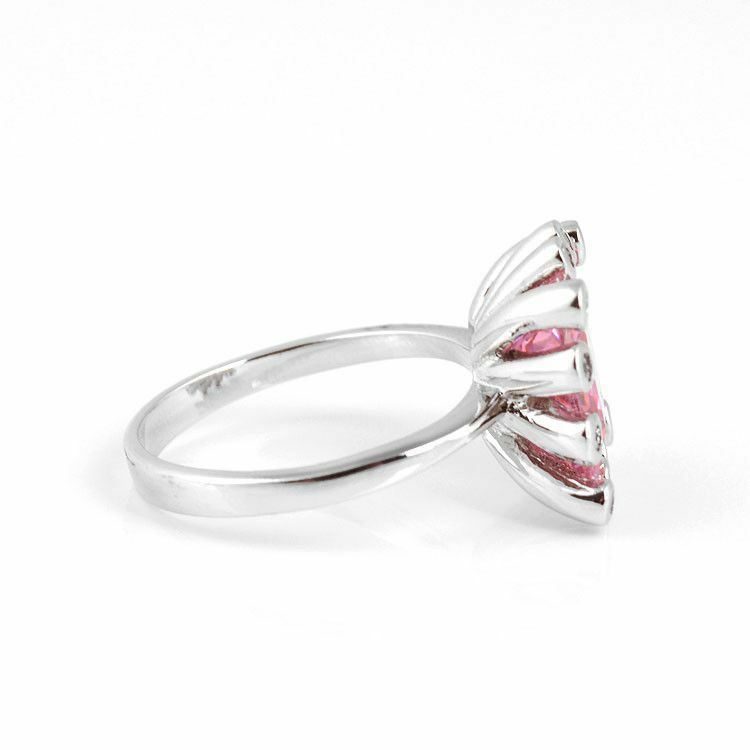 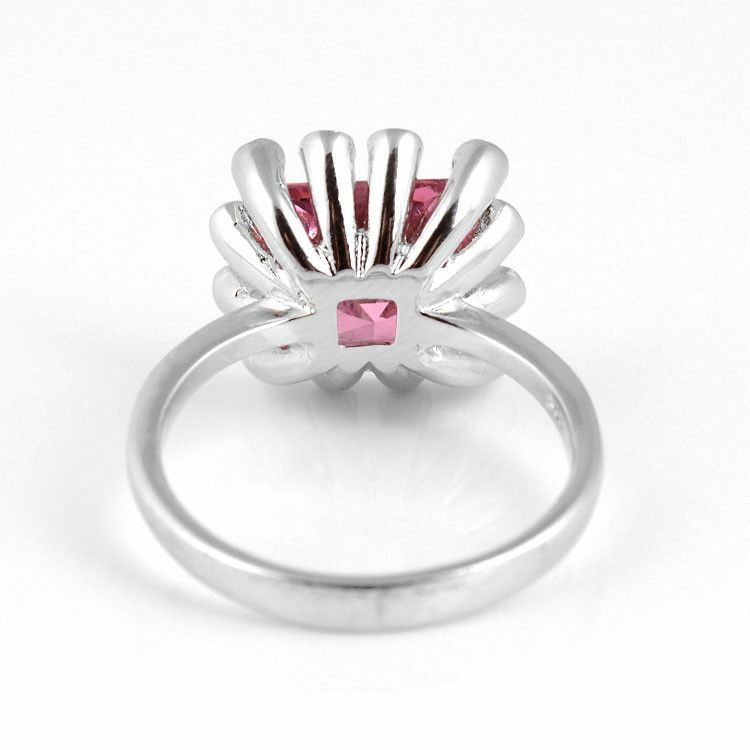 This fun ring features a large pink crystal nested in large silver prongs that contain clear crystals on the ends. 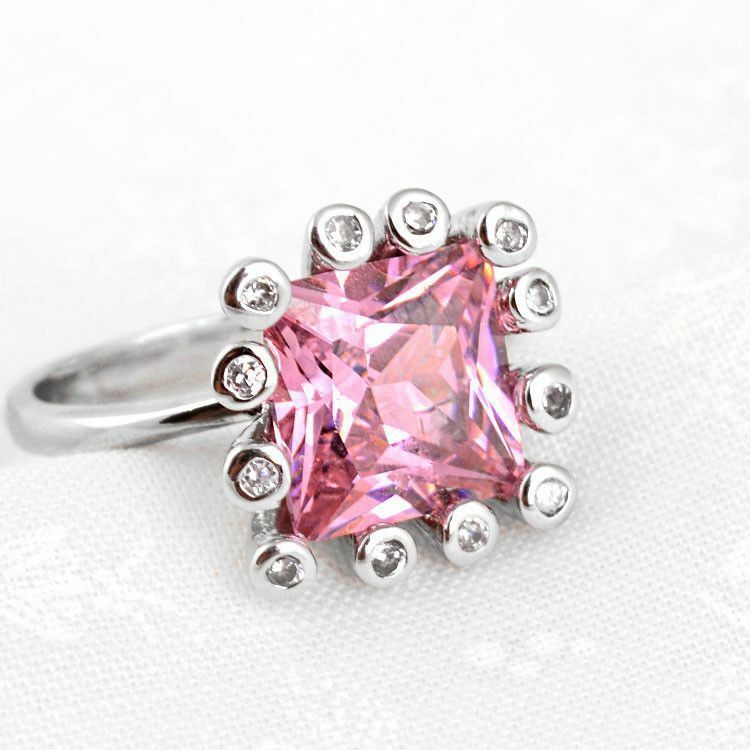 The face of this ring is Approximately 1/2" x 1/2" in size. 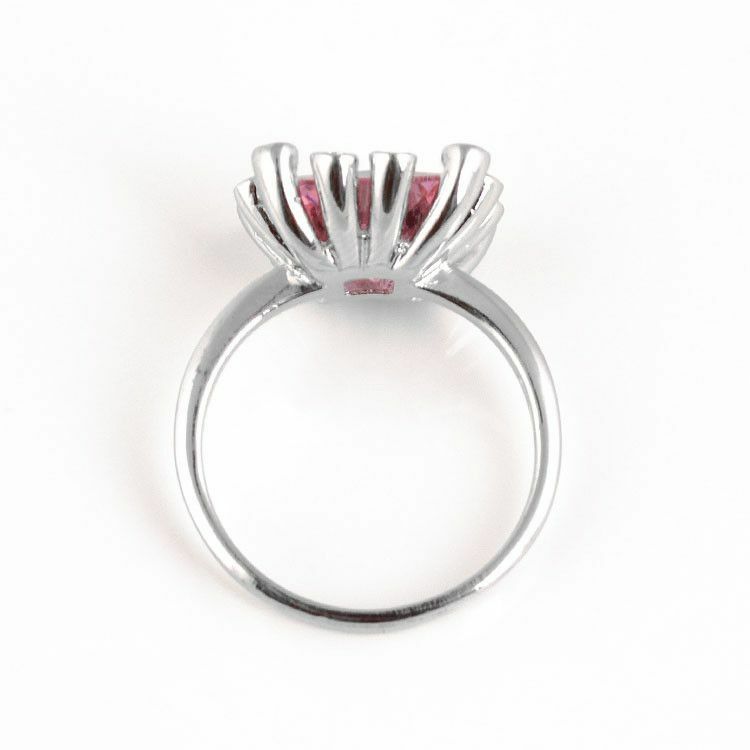 Sits about 1/4" off finger. 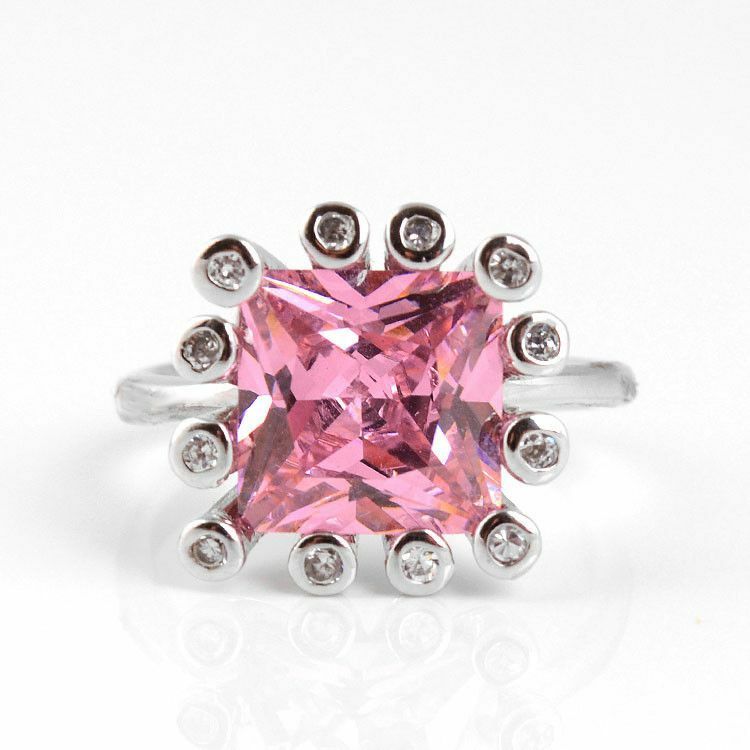 Make a fashion statement with this sparkly pink ring!